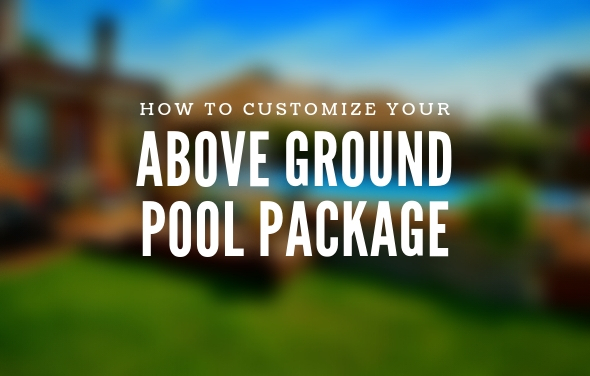 Customizing your saltwater pool package at ThePoolFactory.com is a simple way to create your very own pool package specific to your preferences, all on one easy to use page. Take full advantage of adding any accessory to your saltwater pool package, as all products listed on this customization page are priced well below their regular price. All of the valuable information you need is just a couple of clicks away. 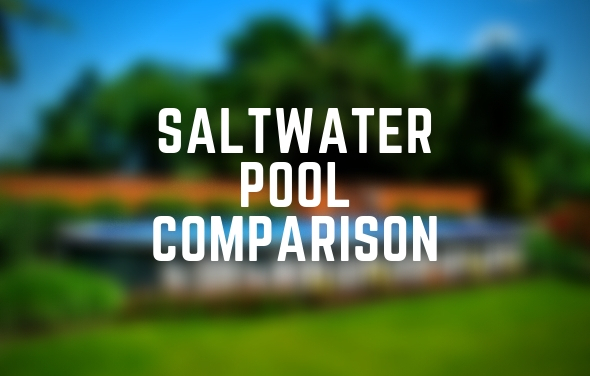 Once you have decided on your saltwater pool model, you can click on the “Customize This Pool” tab and begin the process of building your saltwater pool package. 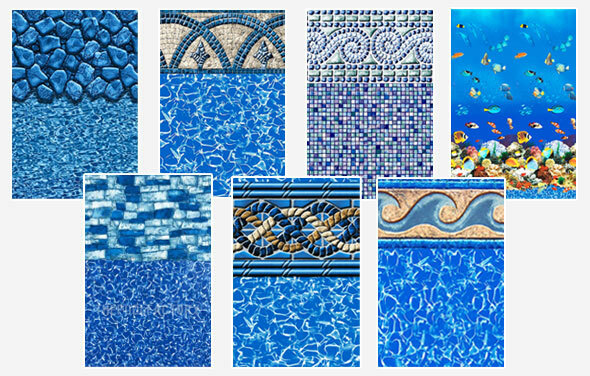 The first item you can choose will be your Pool Liner. All the pools we sell include a 20 gauge blue liner, but here you have the ability to upgrade your liner to a heavier grade vinyl (25 gauge or 30 gauge). Click on the “Help Me Choose” link below the liner options to review the differences between the overlap liners and the unibead liners. This “Help Me Choose” link is available on most sections of this customization page and is extremely helpful in choosing the right products for your pool package. To view more features on the individual pool liners, simply click on the magnifying glass located to the right of the liner title. You can also scroll your mouse over the liner images to see an enlarged view of the different liner prints to help choose the one you prefer. It’s always recommended to upgrade the pool liner as the heavier grade vinyl is more durable and the beautifully printed liners will enhance the overall look of your pool. All saltwater pools need a Filter System to maintain crystal clear water. There are 3 types of filter systems you can choose from; Sand, Cartridge and D.E. Sand filters require specially graded sand to trap particles and debris. The filter sand can last 5-10 years between changes giving you a very economical filtration system. 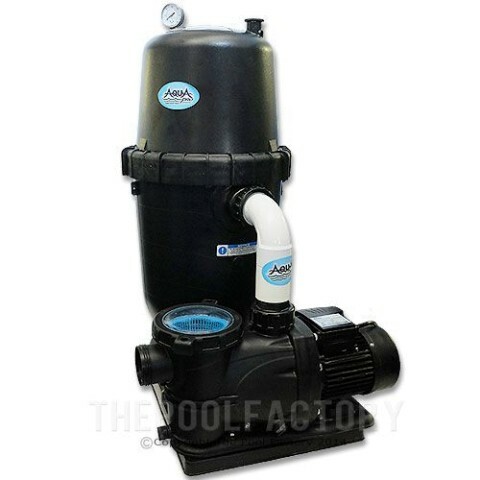 In a cartridge filter, pool water passes through a filter material which captures dirt and debris. Cartridge filters are low maintenance and only require a garden hose to clean the filter element. Your last filter option is a D.E. filter, which uses a special powder called Diatomaceous Earth to coat the inside of the D.E. filter and trap very fine particles. D.E. filters provide superior water clarity but require more maintenance than sand or cartridge filters. 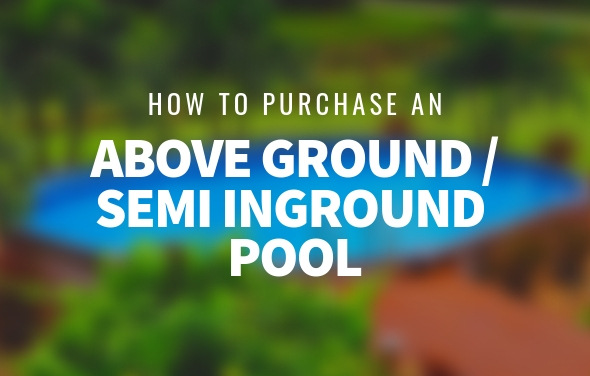 Use the helpful options of clicking on the magnifying glass and the “Help Me Choose” links to decide on the proper filtration system to include with your pool package. 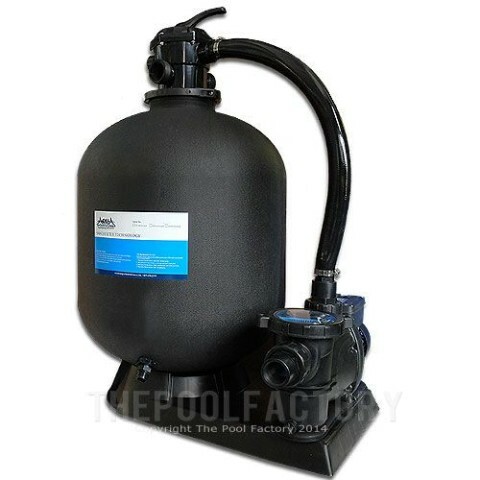 We carry the best brands in above ground pool filtration, such as AquaPro Filter Systems. 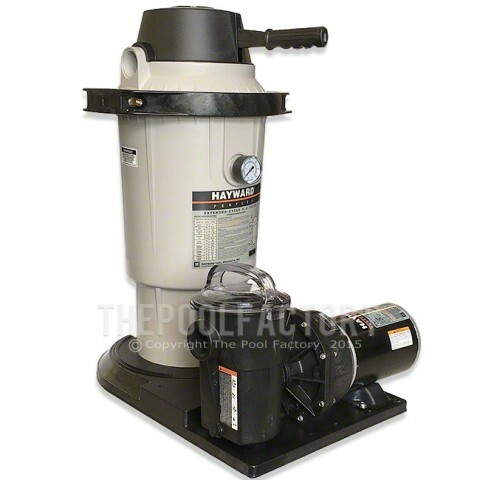 They offer a 2-year warranty along with a powerful and reliable 2-HP (Horsepower) pump option. 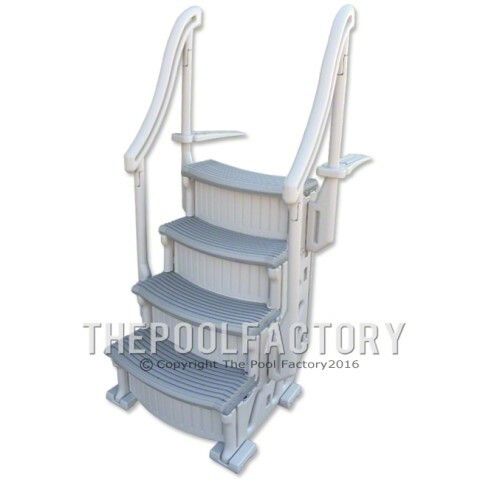 Your next option will be choosing the right Ladder or In-Pool Step to go along with your saltwater pool package. 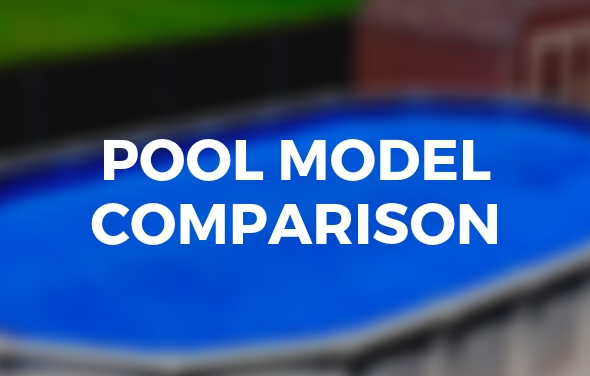 Choosing a ladder depends on how you plan on setting up your pool and backyard. 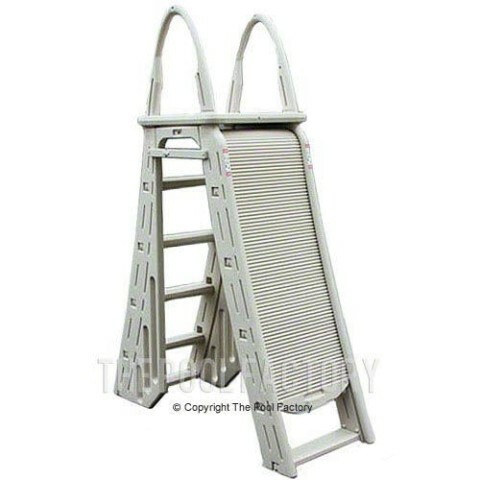 If you’re keeping your pool above ground and do not plan on building a deck around your pool, you can choose one of the A-Frame safety ladders. 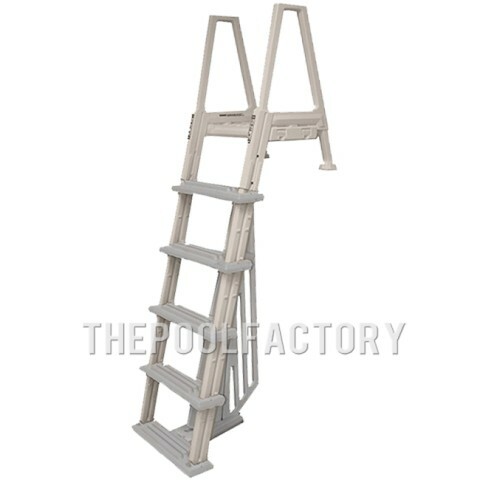 If you do plan on building a deck around your pool, choose from either the “In Pool Steps” or “Deck ladders.” If you like the features of In-Pool Steps but will not be installing a deck around your pool, a Ladder-Step Combination will do the job. Installation items like pool cove, liner floor pad and wall foam are products that will help extend the life of your saltwater pool. These products will also make the installation process easier and more effective. 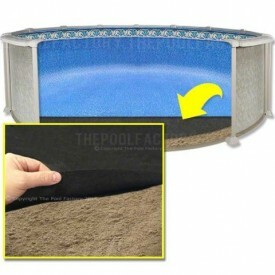 Again, click on the “Help Me Choose” and magnifying glass links to view all of the added benefits of using pool cove, liner floor pad and wall foam when installing your pool. Mineral Water Systems, such as the Pool Frog Leap Mineral System, utilize natural minerals and low amounts of chlorine to sanitize your pool. This creates a safe and low maintenance pool routine that can easily install to any type of filtration system, as well as your saltwater pool. 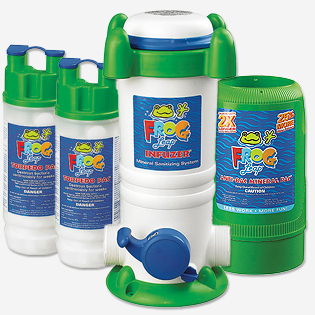 The Pool Frog Leap Mineral System is an effective alternative sanitizing system to use with your saltwater pool, instead of a Saltwater System. 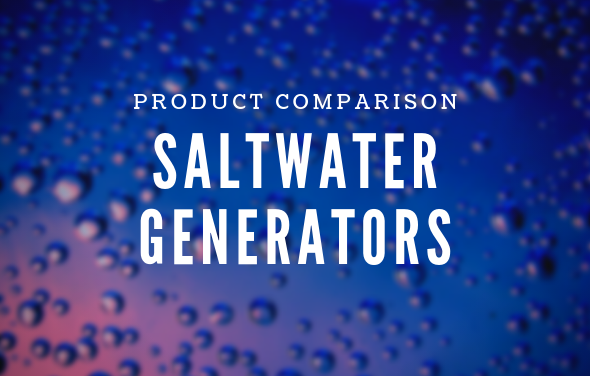 The Saltwater 5000, Saltwater 8000 and Saltwater LX pool models are built with special high tech resin components to resist the corrosion issues associated with saltwater and are warranted for saltwater use. 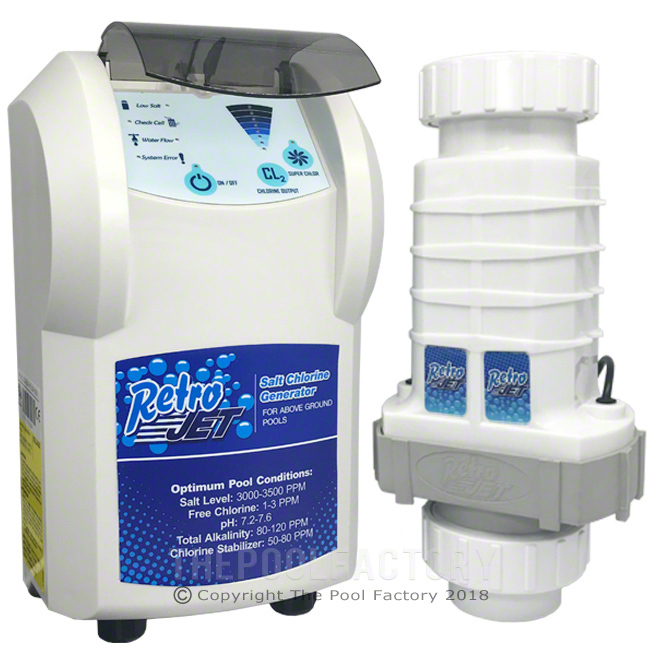 In this section you’ll notice many Saltwater System options, from the economical drop-in Solaxx Saltron Retro Saltwater Chlorine Generator to the enhanced In-Line Retro Jet Saltwater Chlorine Generator. 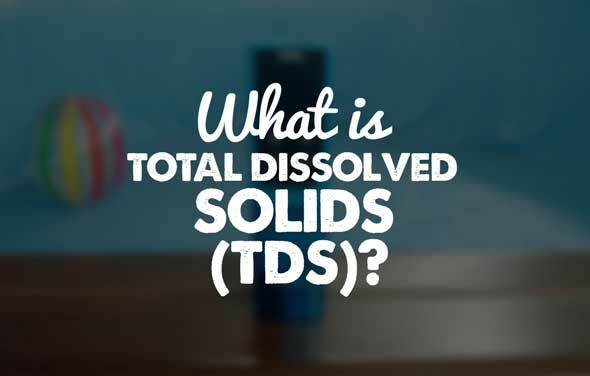 All of these Saltwater Systems will effectively convert the dissolved salt in the pool water into chlorine, eliminating the need for any chlorinated products. If you add a Saltwater System to your saltwater pool package, it would also be a great idea to add the Saltwater Series Chemical Kit. This Saltwater Series Chemical Kit contains all of the necessary chemicals and test kits needed to maintain a pool utilizing a Saltwater System. At the Chemicals and Maintenance section you’ll find the chlorine chemical packages that include everything you need to keep your pool water crystal clear. 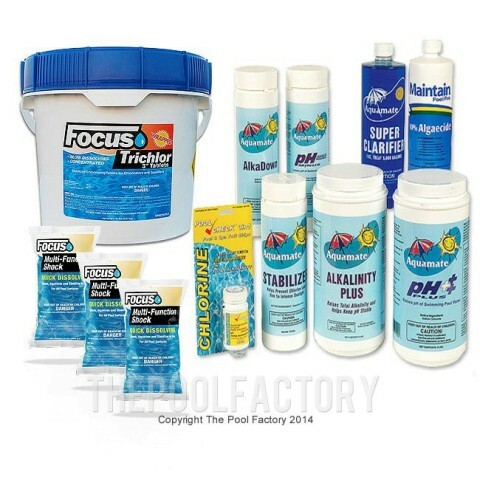 The Pool Opening Chemical & Maintenance Kit is strongly recommended if you’re adding a Pool Frog Leap Mineral System to your saltwater pool package. 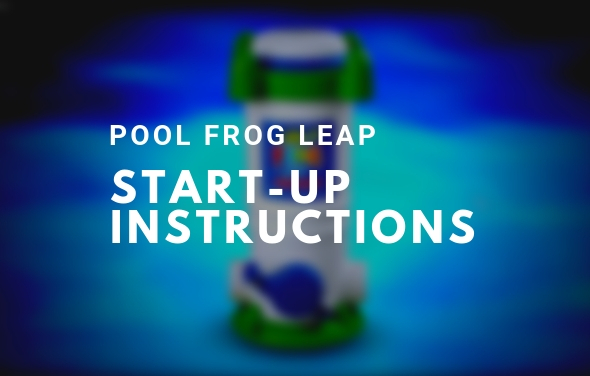 This Pool Opening Chemical Kit includes all of the necessary chemicals needed to maintain and balance your pool water while utilizing a Pool Frog Leap Mineral System. 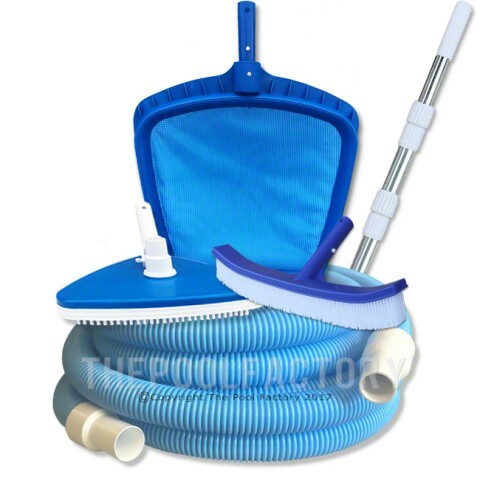 You can also choose from the Maintenance Items section, a 5-Piece Deluxe pool cleaning kit that includes a vacuum head, vacuum hose, wall brush, leaf net skimmer and telescopic pole to help remove unwanted debris and leaves from your saltwater pool. If you’re looking for something maintenance-free take a look at this next section, Automatic Pool Cleaners/Vacuums. 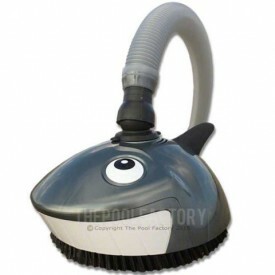 Automatic Pool Cleaners, such as the Pentair Lil Shark, effectively vacuum the floor of your pool. 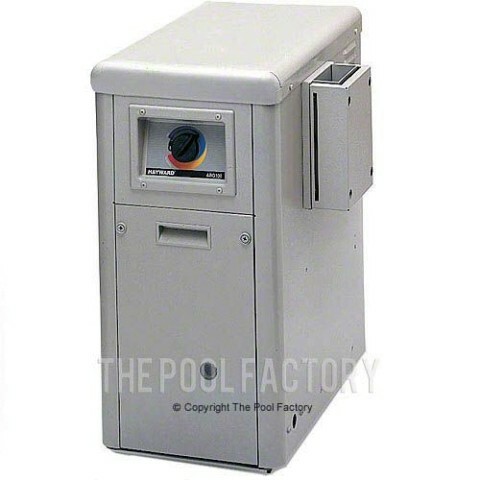 These automatic cleaners connect to the thru-wall skimmer of your swimming pool and operate directly off of your filtration system, saving you time and energy. 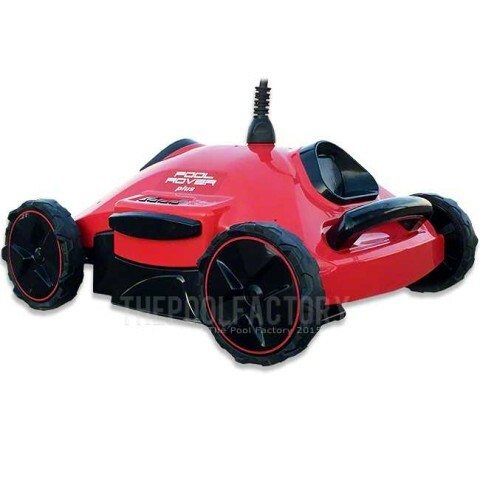 Robotic Pool Cleaners, such as the Pool Rover Plus, require no hose attachments or complex connections. This provides you with an easy and hassle free set up. These robotic cleaners include its own power supply that simply plug into a standard GFCI (ground fault circuit interrupter) 120 volt outlet. Its jet propelled system will clean the floor of your pool in as little as 1 hour. 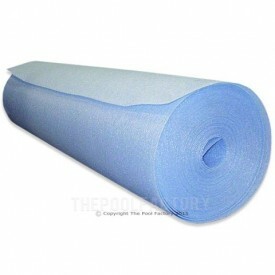 They also include durable filter bags that are easy to access and simple to clean. Add a robotic pool cleaner to your saltwater pool package and you’ll enjoy the most efficient way to keep your saltwater pool free of debris. Most people will need a winter cover for their saltwater pool to properly close at the end of the pool season. The Super Heavy XXtreme Winter Cover is the best quality cover available and strongly recommended where winter months are extremely harsh. Click on the “Help Me Choose” link to choose the right winter cover to include with your saltwater pool package. A Leaf Net Cover is a highly effective and simple way to keep leaves and other debris from mixing with the water collected on top of your winter pool cover. It can also be used year round keeping your pool water free from any leaves and unwanted debris. Solar Covers will help warm your pool water and prevent heat loss without raising your utility bills. 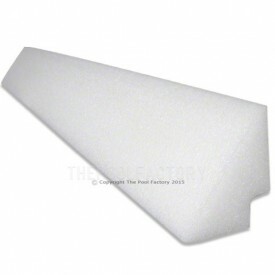 These covers simply float on top of the pool water and can be used in conjunction with a gas heater or heat pump to help retain the warm water. The Space Age Silver/Blue Solar Cover is a great choice to help extend your swimming season. A Solar Cover Reel is an excellent and convenient product to add to your saltwater pool package if you’re purchasing a solar cover. A solar cover reel makes it easy for one person to operate by simply pulling the solar cover onto the pool or reeling the solar cover off the pool. 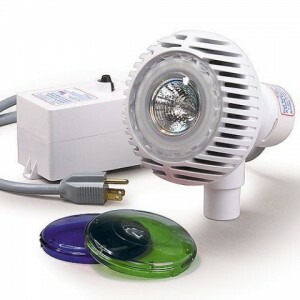 A Pool Light can enhance beauty and nighttime enjoyment for swimming pool owners. The Aqualuminator (left), easily installs as a water return jet and operates as both a water return and a light on your saltwater pool. It features Snap-On blue and green lenses and a 12-volt outdoor transformer with an on/off switch. 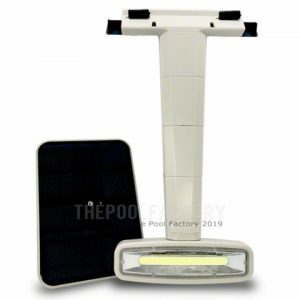 The InnovaLite Solar Powered Wall Mounted LED Pool Light (right) lights up the pool with a powerful white LED light. No need to remove top ledge and no electrical wiring is required on the outside of the pool for installation. Clean power from a solar charged lithium battery will last for 3 hours of operation. Natural Gas and Propane Pool Heaters require either a natural gas line or a propane tank to operate and heat your pool. These gas heaters allow you to set your desired temperature and extend your swimming season to swim in comfort. The higher the BTU’s on the pool heater the quicker the pool water will heat. Click on the magnifying glass to view all specifications on these gas pool heaters. 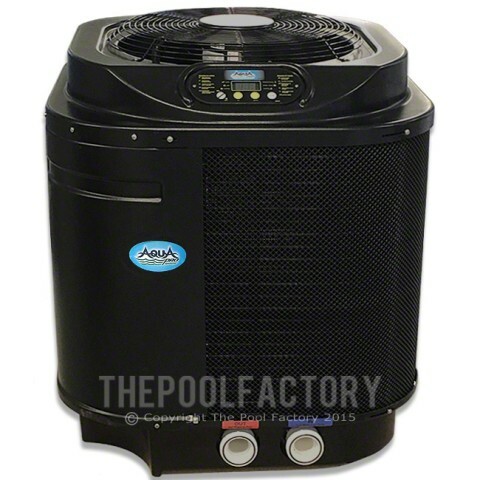 Electric heat pumps, such as the AquaPro Eco600, provide continuous heat to your pool while operating extremely efficiently. They require a dedicated 220-volt electrical line to operate and include digital thermostat controllers to make it easy to set your desired pool water temperature. Solar Heaters, such as the Solar Dome Swimming Pool Heater, gradually warms your pool water and installs directly in-line with your filtration system. This solar heater relies on the sun to warm your pool water and doesn’t require any gas or electrical lines. Multiple units can be linked together for larger pools and faster heating. 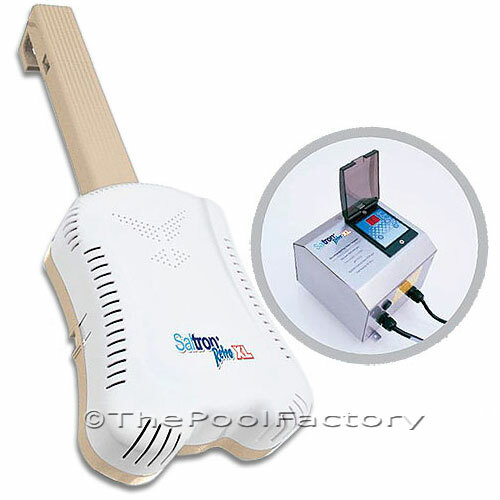 There are other additional accessories, such as a Pool Timer, Pool Alarm, Chlorinator and Winterizing Accessories that you can also add to your pool package. A Hayward thru-wall skimmer and water return jet will be included with your saltwater pool package at no additional cost. 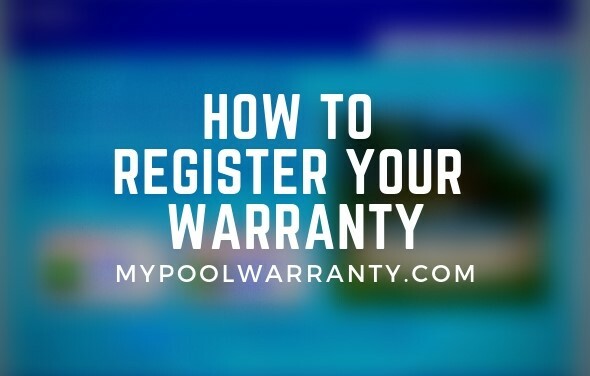 Once you’ve finished customizing your saltwater pool package, simply click “Add to Cart” and you’re ready to purchase your custom saltwater pool package.